When looking to watch or play a bit of sport at the weekend, you can nip down to the local park or footy grounds, even take a train up to see your favourite team play at their home stadium. Well, we’ve found some sports venue that might be more trouble than a 2-hour train ride, even with delays and construction work. You will be happy to know that while they are remote they are some of the most amazing sports locations in the world. 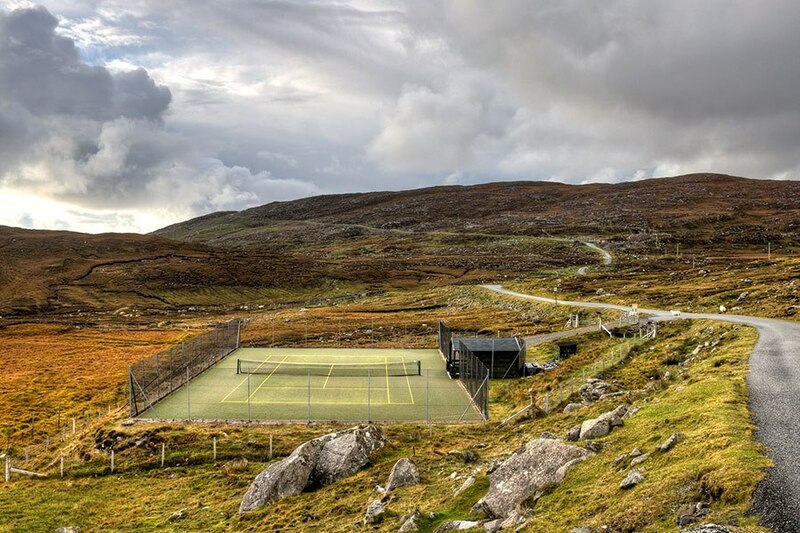 For those not afraid of a little rain, this tennis court on the Isle of Harris boasts incredible highland views whilst sitting at the edge of a loch. Only taking 15.5 hours, 630 miles, and a ferry or two from London, better to double check your bags before heading out for a match you don’t want to arrive with your balls still at home. 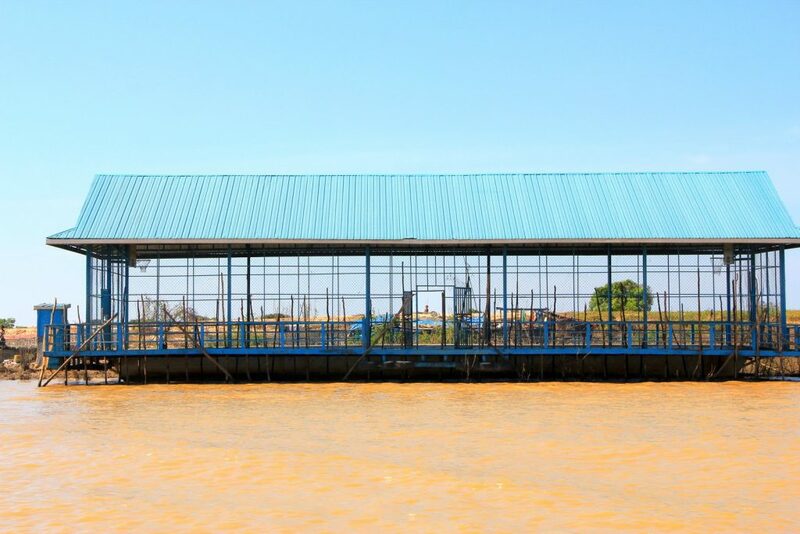 The village of Chong Khneas has to migrate around Tonlé Sap Lake as the water level falls and rises. In order to fulfill their basketball needs, they came up with the only viable solution, a floating basketball court! They’ve even netted the sides to prevent the ball from spilling over into the lake. I mean if our house kept flooding we’d just move. 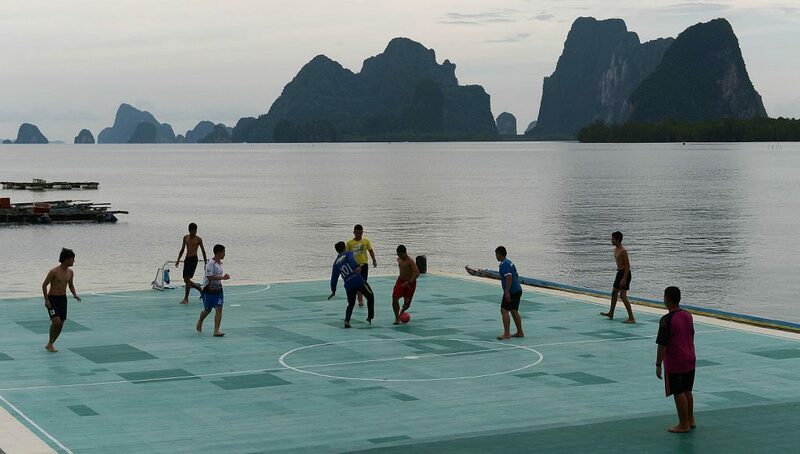 The people of Koh Panyee weren’t happy with the fact that their entire floating village didn’t have an appropriate football ground so they built this beauty. We all have that friend who continuously thinks they can smash into the back of the net from their own half and of course it fly’s over the gate, Koh Payee’s solution…no gate. That friend is either going to get really good with their footwork or really good at swimming. For most of us, a golf trip away would consist of golf carts, palm trees, and many margaritas. 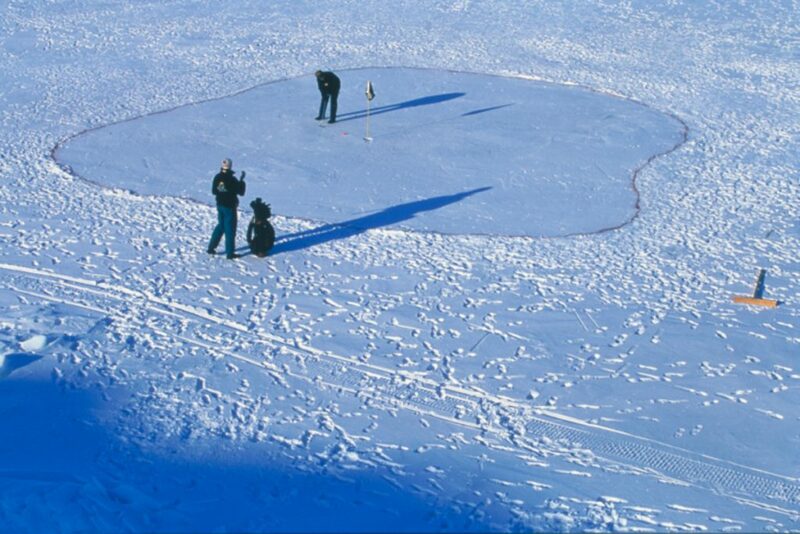 The people of Greenland figured “Why waste money on flights when we can drill some holes into the ice!” And whilst it’s safe to say this isn’t the most visited golf course in the world, they have absolutely nailed it in terms of remoteness. It’s definitely one way to guarantee a tee time. Might have some struggles getting there, but if anyone can our private coaches are the ones. No Thank you. At 692 feet in the air, playing a sport where you commonly dive/run for the ball, on a helipad with no edges…..again no. 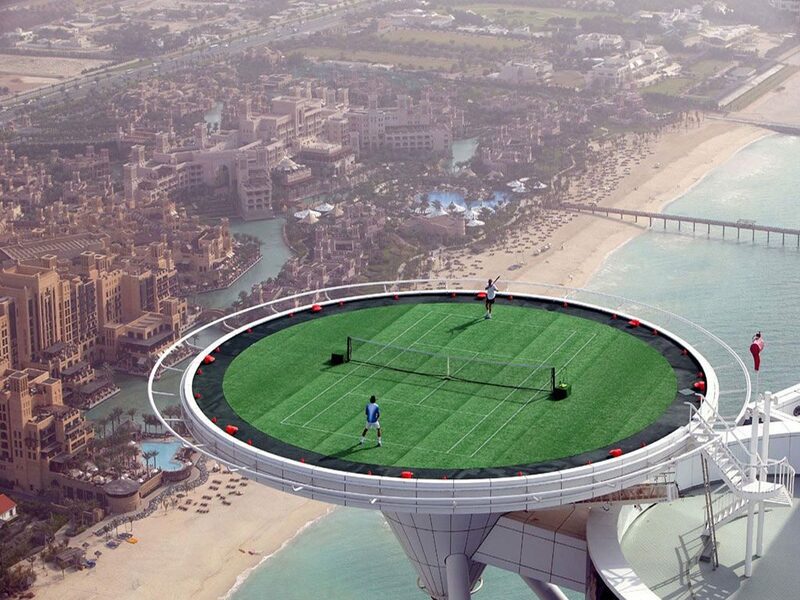 Located on The Burj Al Arad in Dubai it is easily the highest as well as most terrifying tennis court known to man. Our main question is who picks up the balls that do go over? I mean is there a well-trained dog playing the most intense game of catch of his life? Whoever thought to themselves Rugby needs to be taken up a notch really went all in when deciding that a few games in the desert are a good idea. This makeshift pitch came about whilst RAK rugby club was waiting to move to their new grounds. We hate sand getting everywhere when we just go to the beach…a game of rugby in the sand…..we’re not maniacs. 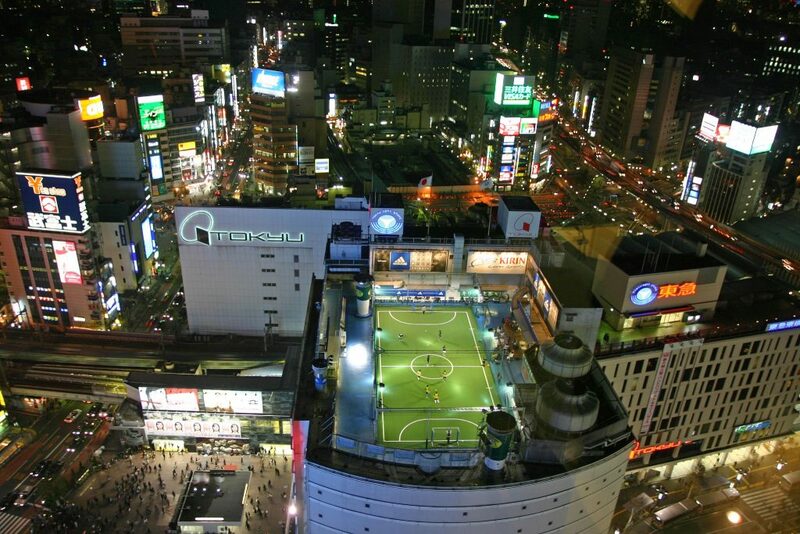 Come on, can urban football get any cooler than a rooftop pitch in one of the busiest districts of Tokyo? We were so happy when our 5-aside pitches were astro-turfed, this is just something else. Located on the top of the Tokyu Toyoko department store, Adidas created this football park back in 2001 for the 2002 World Cup hosted by Japan and Korea. 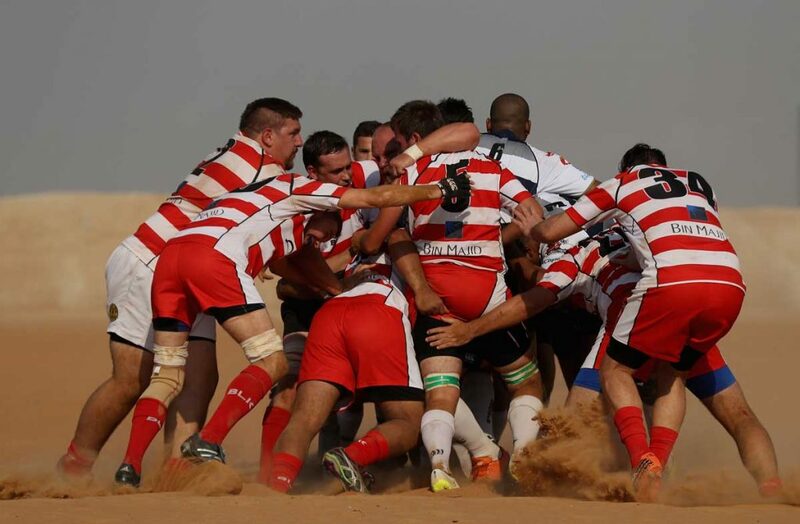 With a reputation to protect, New Zealand wasn’t going to stand idly by whilst the RAK rugby club battle it out in the desert, so they decided to take it up a gear. 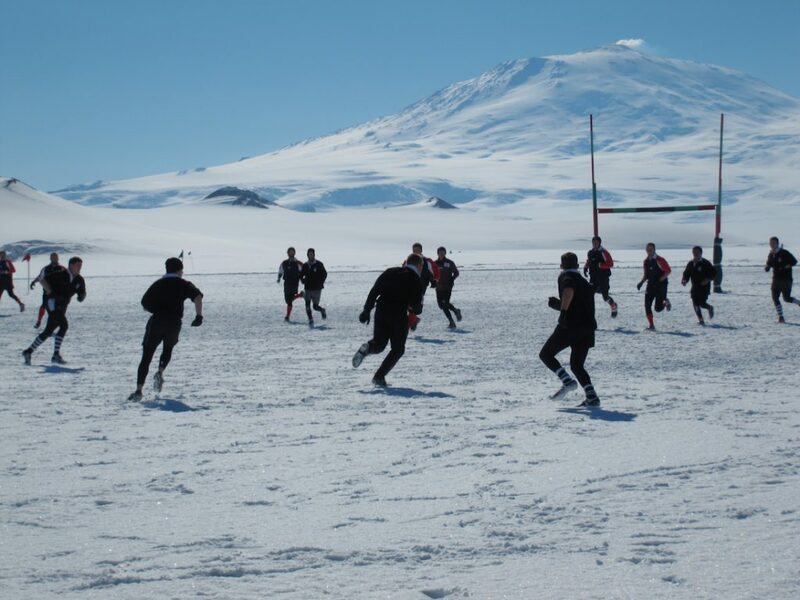 Ice Rugby. Yep, if playing in the desert sounded terrible wait until you’re playing in the freezing cold and getting slammed into the ground. Just goes to show that even New Zealand scientists aren’t to be messed with, and by the way, they win almost every single match played. 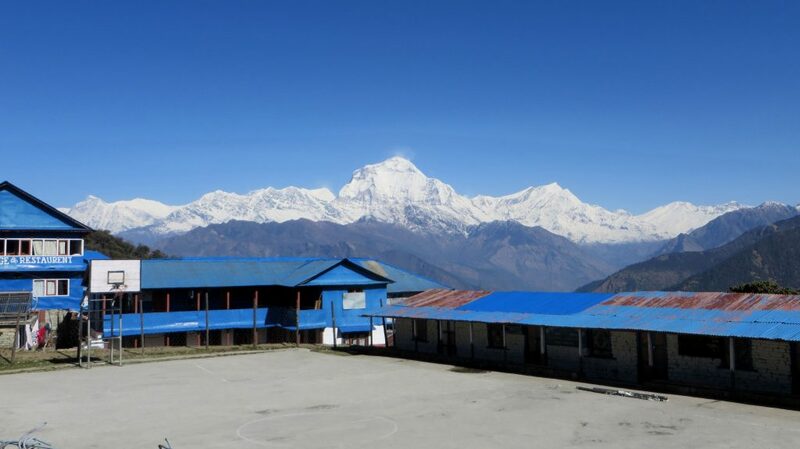 Fancy a quick game in the middle of the Himalaya’s? Well if you ever find yourself there, swing by Choki School and learn what the monks really get up to in their spare time. For those wondering exactly where Bhutan is, it sits just North East of India, don’t worry we had to Google it too. Don’t let the image fool you, whilst it seems to be your typical league 2 team stadium it is possibly one of the most remote on the planet. 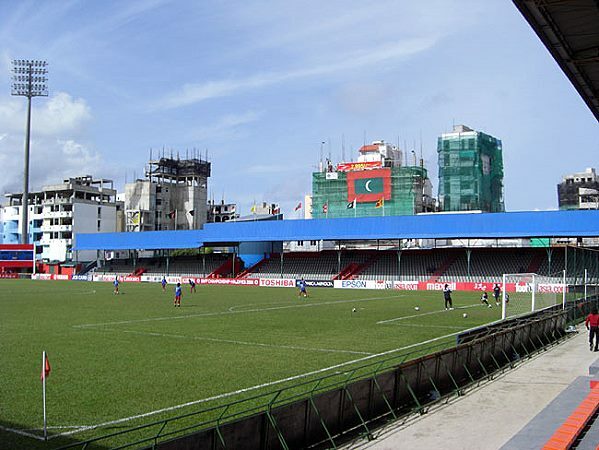 Malé is a small island with only 100,000 inhabitants in the chain of the Maldives and is 377 miles from any considerable land mass. It’s probably not best to visit during monsoon season.